Saitama is the capital of Saitama Prefecture; a major city within half an hour by train north of Tokyo. 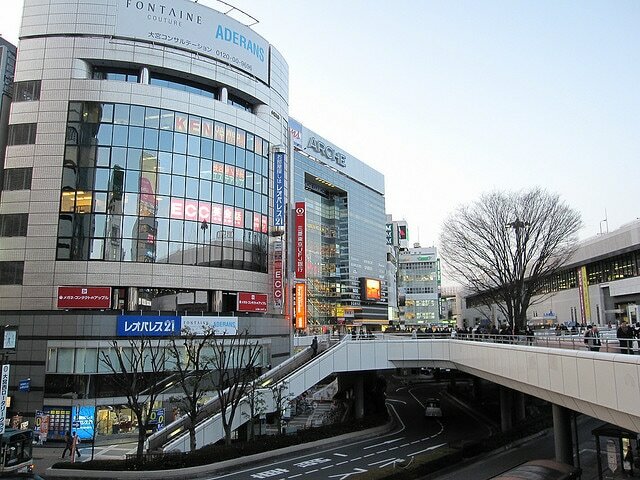 Saitama city came into existence in 2001, after the merging of 4 former cities, including Urawa, the former capital of the prefecture. Upon its creation, with the population of 1.2 million became the tenth most populous city in the nation and the only capital city with its name written in hiragana "さいたま", instead of Chinese characters. Although not known in particular as a tourist destination, the city does have some places of interest well worth a day trip outside of Tokyo. 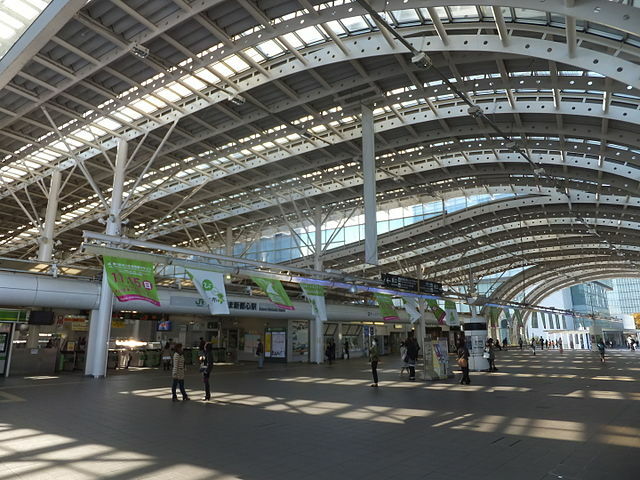 ​Saitama's Omiya Station is a major train hub, connecting together the Tohoku Shinkansen and Joetsu Shinkansen lines, as well as many suburban train lines, making it one of the busiest train stations in the Kanto Region. 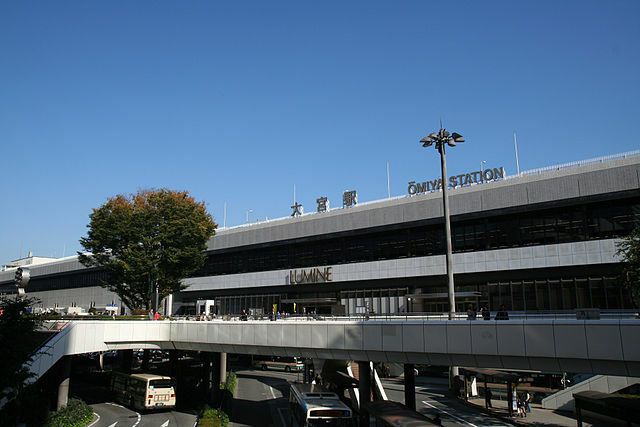 There are many attractions within walking distance of this huge train station including: Hikawa Shrine, Omiya Park, the Saitama Prefectural Museum of History and Folklore, Omiya Bonsai Art Museum, and a Railway museum. 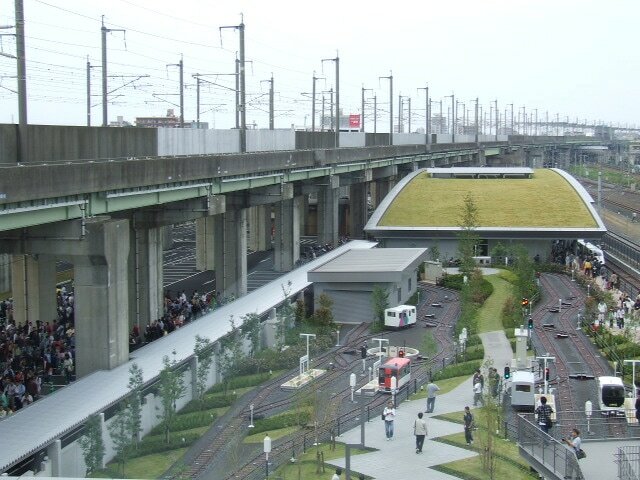 The Saitama city’s Railway Museum was opened in 2007 by JR East. The museum covers 42,500 square meters with a display area 9,500 square meters. It is a must of rail buffs and great for kids. 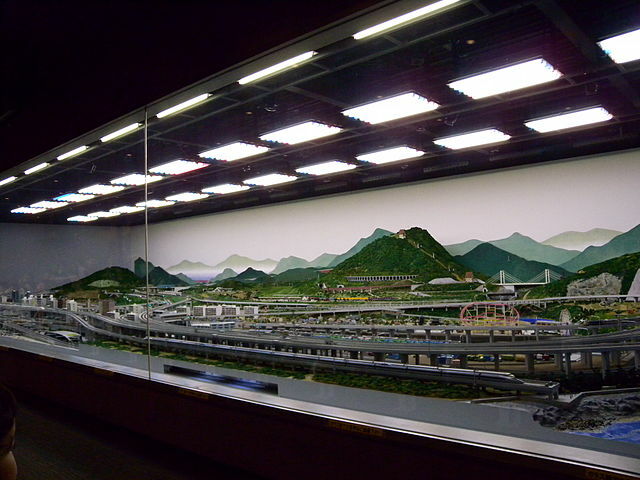 The museum exhibits railway train cars, train cab simulators, railway model dioramas, mini trains, books and video booths. 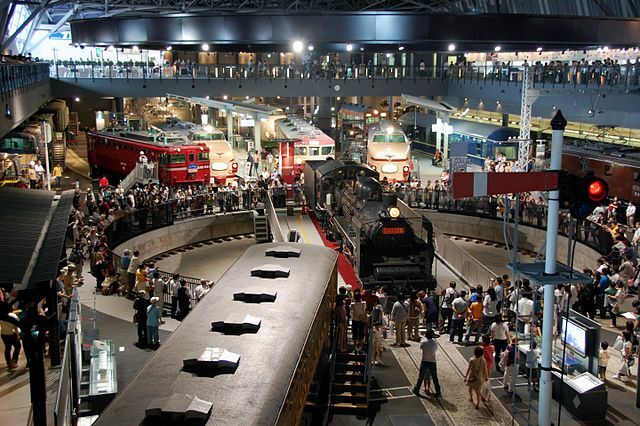 The museum features interesting driving simulators that allow visitors to experience being drivers of a D51 steam locomotive, a Shinkansen, and few other types of trains. ​The D51 simulator requires a reservation through a reservation terminal installed in the museum and costs 500 yen extra, but the other simulators are all free. The museum places emphasis on learning through interactive experiences and is mainly divided into two zones: the history zone and the learning zone. The history zone recounts the history of railway technology with the help of trains that were in service in the past. In the learning zone, visitors can gain knowledge of the principles and mechanisms of railway with the use of actual parts and models. ​The tour of the museum takes roughly two hours with extra time for interactive exhibits. Outside in the pleasantly landscaped Park Zone are miniature operating trains; the mini-shuttle Hayate which travels between the North wing and the Park Zone and a rest area inside the "Friendly Train." For driving a mini train also you should pay additional 200 yen. There are also an outdoor jungle gym and play areas for children. Some of the restored carriages are set aside for visitors to eat boxed lunches, and there are a couple of railway-themed restaurants on site. 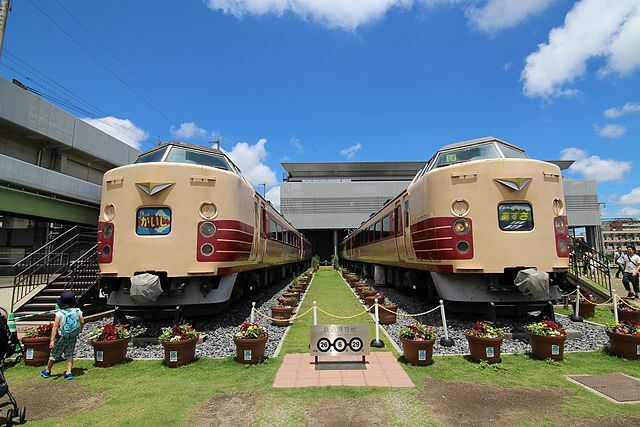 ​The Railway Museum is located just beside Tetsudo Hakubutsukan Station, which is reached in a three minutes ride from Omiya Station by the New Shuttle. The New Shuttle ride is not covered by any JR passes except the JR Tokyo Wide Pass. Located about 20 minutes’ walk away from the bustling Omiya Station, lies the expansive Omiya Park and within its grounds is Hikawa Shrine. 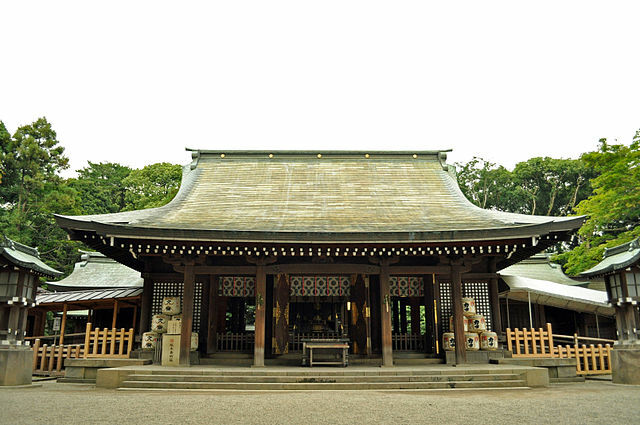 Musashi Ichinomiya Hikawa Shrine is the most important of the many branches of Hikawa Shrines in Kanto region, which enshrine Susanoo, the God of the sea and storms. The district of Omiya, literally "Great Shrine", derives from the special favor shown by Emperor Meiji, who raised Hikawa above all other shrines in the region. ​On New Year's Day, people young and old come to visit and the crowds will be quite big. If you go a few days later, the crowds will have thinned out a lot but the experience will not. 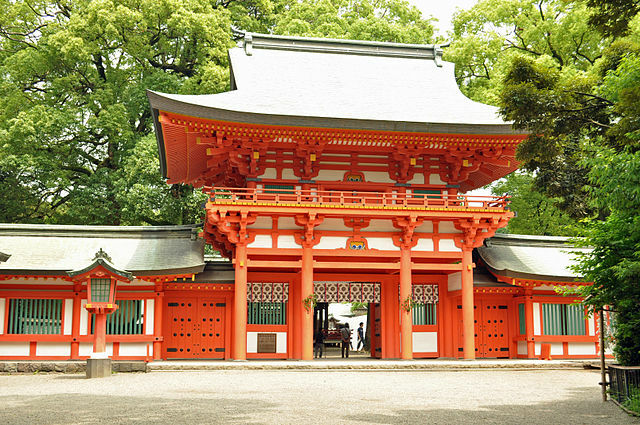 The approach to Hikawa Shrine is along a tree-lined path that runs in the middle of a street through Omiya; you will pass under three large torii "gates", "about two kilometers". During celebrations like New Year's, here dozens of vendors are usually selling everything from Chocolate Bananas to Okonomiyaki to Daruma Dolls. The view of cherry blossoms in spring is quite beautiful. 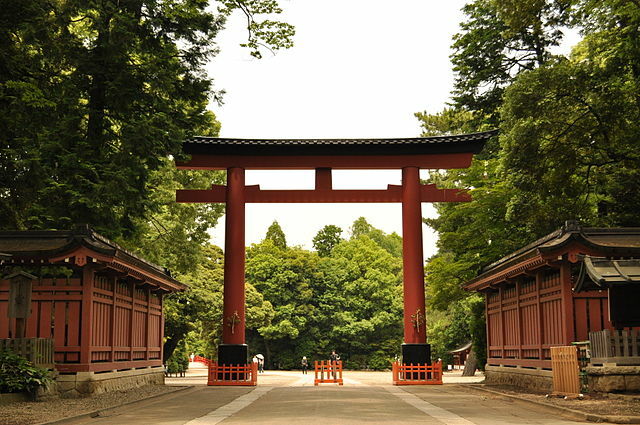 A long approach from the south leads to the shrine's precincts, where a tall vermillion torii and several secondary shrines are located. Proceeding north takes visitors to a bridge across a pond. You can also access Hikawa Shrine from Omiya Station by taking Tobu Noda Line to Kita Omiya Station "takes 3 minutes". The shrine is ten minutes’ walk from the station. Hikawa Shrine admission is free. Around the shrine are various attractions including a small museum with a bamboo garden, Omiya Park Zoo, Saitama Super Arena, and a Japanese garden. ​The Saitama Prefectural Museum of History and Folklore is also located in Omiya Park, within walking distance of the Hikawa Shrine. The museum houses a permanent collection of historic artifacts and documents curated from Saitama prefecture and its surrounding areas. Plaza Fantsy "Yume-Taiken Hiroba" consists of three different areas of Hands-On-Room, Craft Room and Playing field. They offer various programs designed for not only children but also adults to learn Saitama’s history and culture. Admission for permanent exhibition is 300 yen. 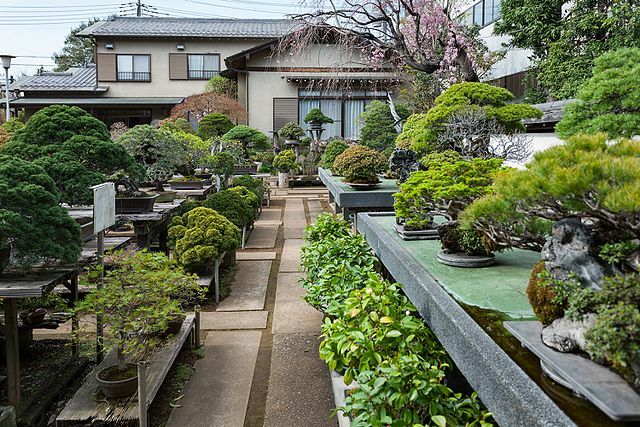 Omiya Bonsai Village is home to a handful of bonsai nurseries and a superb bonsai art museum. 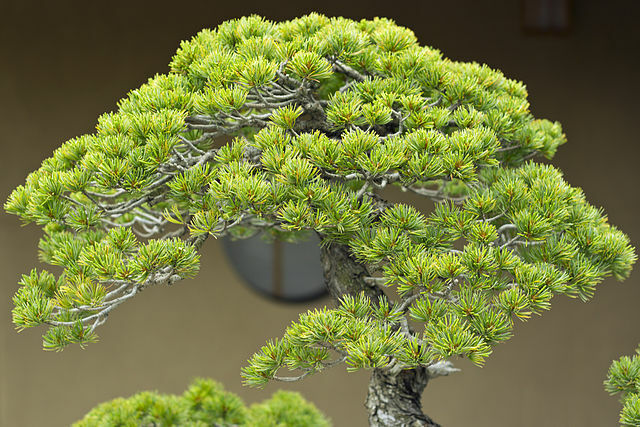 Bonsai is a Japanese tradition of growing miniature trees in containers. Bonsai nurseries and garden industry workers in central Tokyo moved here following the great Kanto earthquake in 1923. They had to look for an alternative location; they chose this leafy suburb due to the easy access to fresh water, available land and favorable soil found here. Today the Bonsai Village consists of six privately owned bonsai gardens. As of 2007, the Bonsai Village contains hundreds of thousands of bonsai trees in a site of about 330,000 square meters. It's considered to be the 'Bonsai Capital' of the world. They welcome walk-in visitors, but do not allow photograph taking. Visitors can roam around and visit each of the nurseries. Some bonsai can also be purchased. 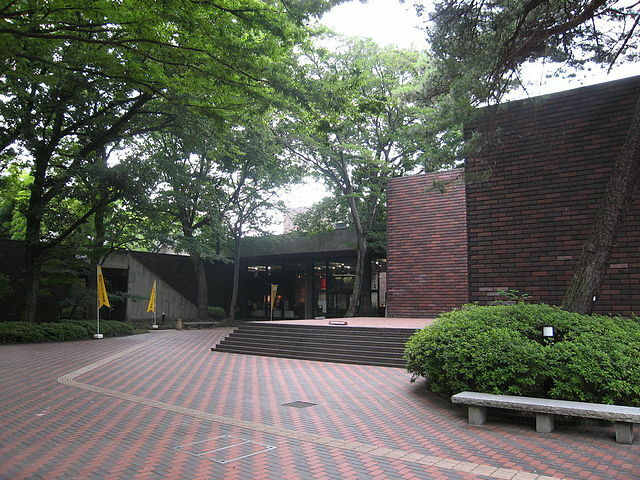 The area also contains the Omiya Bonsai Art Museum, opened in 2010. The museum has indoor exhibits of bonsai history and art, as well as an outdoor area with a number of bonsai specimens. 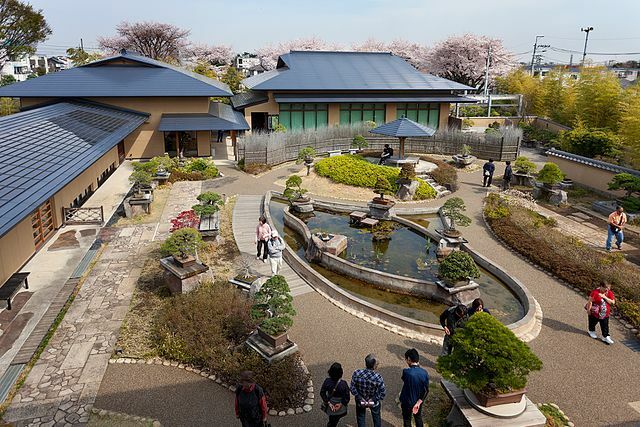 Each year, Bonsai Village holds the "Great Bonsai Festival" from 3 to 5 May. The Omiya Bonsai Village is located between Omiya Koen Station and Toro Station. From Omiya Station take Utsunomiya Line to Toro Station "takes 3 minutes". 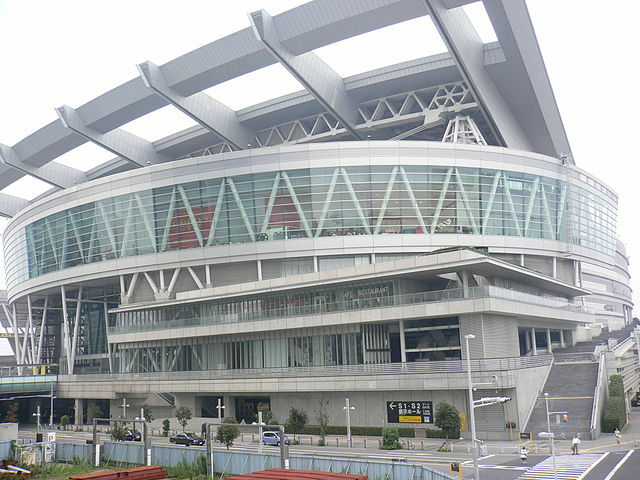 It is a 5 minutes’ walk from the East Exit of the station. ​By Shinkansen Trains - Just about all northbound Shinkansen trains from Tokyo Station and Ueno Station stop at Omiya Station, with the ride from Tokyo taking 25 minutes. Shinkansen ride is quite uneconomical compared to local trains. 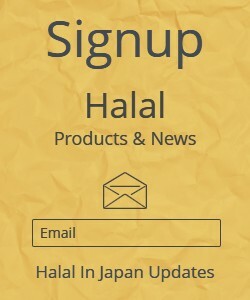 However, if you have a Japan Rail Pass your trip is covered. By Regular Trains - Regular trains on the JR Takasaki and JR Utsunomiya Lines run from Tokyo Station to Omiya Station in 30 minutes. These trains make added stops at Ueno Station and on the way at Saitama Shintoshin Station, near the Saitama Super Arena. ​Saikyo Line and the Shonan-Shinjuku Line Trains leave from Ikebukuro Station "25-35 minutes", Shinjuku Station "30-40 minutes" and Shibuya Station "30-40 minutes", to Omiya Station. The Tokaido Line is the best way of reaching Omiya Station from Yokohama Station "59 minutes". ​Kawagoe Line is connecting Omiya Station to Kawagoe Station "22 minutes".